Across the planet, the common bean is one of the world’s most important crops, especially for poor people. And it is estimated that the droughts that come with climate change are threatening up to two-thirds of this essential food supply. But centuries of breeding different varieties have meant that some are more resistant to drought than others, and scientists from Spain and Colombia have now analysed and identified these survival strategies. With the world heading for food shortages as the population grows and the climate changes, researchers from Spain’s Universitat Autònoma de Barcelonaand the International Centre for Tropical Agriculture (CIAT) in Colombia report in Frontiers in Plant Science journal that they gathered as many different varieties together as possible. After cross-breeding, they then evaluated 36 different advanced bean lines, to understand how they dealt with drought. Because it is one of the world’s oldest cultivated crops, the common bean (Phaseolus vulgaris) comes in many forms – green and dried – and is a vegetable for all seasons. Most bean crops are cultivated by small-scale farmers in areas affected by drought, where 400 million people rely on them for most of their protein and energy. The UN, which has designated 2016 as International Year of Pulses, estimates that dried bean production was more than 23 million tons in 2010. India, Brazil, Mynanmar, China, the US and Mexico are the main producers. What the researchers have now found is that the plants have developed two distinct strategies, depending on the soil in which they were planted and the length of the dry periods they had to endure. One group has developed deeper roots so they can reach the available moisture in soil that retained water even when there was no rain. The second group has smaller leaves and closes down their operations to wait for better times. Some varieties use what little resources they have left to grow as many beans as possible, to ensure the survival of the next generation. José Arnulfo Polanía, one of the CIAT researchers, says: “The experiments demonstrate that there is no dominant morph-physiological characteristic [linking form and function], but rather a strategic combination of several characteristics that confers this resistance to drought onto specific varieties of beans. 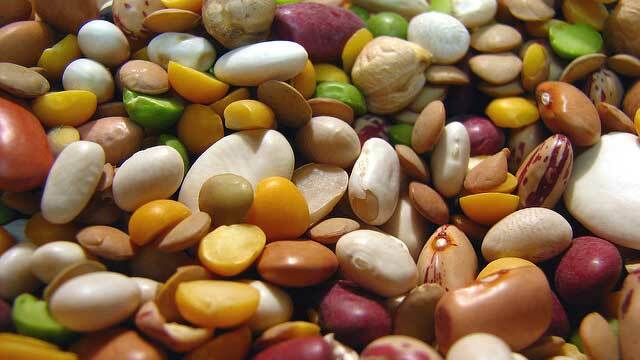 The researchers called the two types of beans water savers and water spenders. Because the pattern of droughts and soil types in different regions in Africa and Central America vary, the researchers can recommend which varieties would be likely to produce better crops in the prevailing conditions. In regions where the climatic conditions are well established, the recommendations are easier to make. The savers, for example, are best suited to the south of Mexico, while the spenders fare best in the deep soils of South America.